Is that a glimmer of hope on the jobs front or a false dawn? Chancellor George Osborne’s rosy vision of a buoyant private sector picking up the slack and balancing all those public sector job losses might be some way off fruition, but at least he now has some evidence to throw back across the despatch box at the opposition. Figures showed that unemployment numbers experienced their sharpest drop in over a decade during the third quarter of 2012. Figures from the Office for National Statistics showed an 86,000 reduction in the total jobless in the three months up to October. That is surprising news given that the general economy remains stagnant, but the statistics show that private sector jobs were more than replacing the cuts to public sector employment. 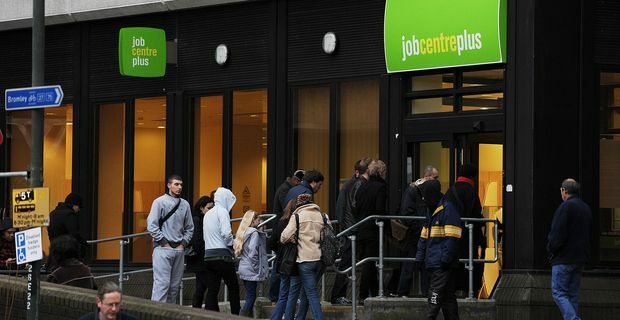 The UK’s total workforce is at its highest-ever level, 29.6 million, while the jobless total was just over 2.5 million. The figures seem positive for the coalition Government, but closer analysis reveals that even those in work are finding things tough. The implications are that secure, decently-paid public sector jobs are being replaced by short-term, temporary ot lowly-paid private sector jobs, many of them minimum wage. The chief economist of the Bank of England, Spencer Dale, pointed out that wages were not keeping pace with inflation, and that the average pay packet was 15% down on what it was before the economic crisis. "The harsh but inescapable reality of these developments – and the real adjustments they necessitate – is that households and families in our economy are worse off. Much worse off," Dale said. Dale reflected on the "flexibility" of the labour market, ie the freedom with which companies can offer diminished entitlements and low wages. "Unemployment has indeed risen," he said, "but by far less than would have been the case had the labour market displayed the resistance and rigidities of the past." Good news for the Chancellor might not be quite so bright for the part-time worker starting another eight-hour shift at a High Street coffee-shop, knowing their lunch breaks are no longer being paid.